The gold and leather belt that Austin carries to the ring may carry the World Wrestling Federation logo, but Stone Cold Steve Austin's loyalty belongs to WCW. The Texas Rattlesnake turned against his friend Vince McMahon during Invasion and helped WCW/ECW win the Inaugural Brawl. Before that, Austin proved that he was the toughest and the best within the Federation, maintaining his grip on the title since WrestleMania X7. 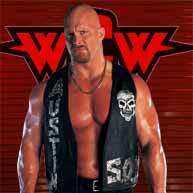 Stone Cold's defection to the Alliance gives WCW/ECW a tremendous edge in the war versus the Federation. Unless Vince finds a way to neutralize Stone Cold, the Bionic Redneck will lead WCW/ECW in stomping the Federation to death.